Fits flat panel TV's 40" - 50"
SANUS Premium Series VMT5 tilting mount gives you the best view from the floor or couch. Fingertip tilt allows for easy TV adjustments, and mount tilts TV back for easy cable access. 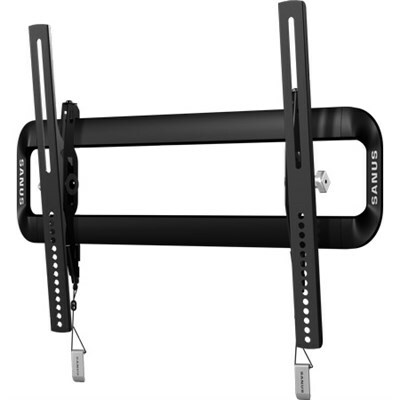 TV can slide from side-to-side for perfect positioning on the wall, and safety tab provides a safe and easy connection.